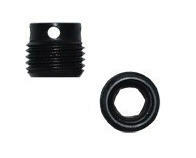 MDT’s M-Lok Sling Swivel Stud adaptor are machined from 6061-T6 aluminum, then hard-anodized black. The MDT Sling Swivel Stud includes all hardware necessary for mounting to M-LOK compatible attachment systems, which are currently used on MDT TAC21, MDT LSS XL GEN 2 and MDT ESS Chassis Systems. 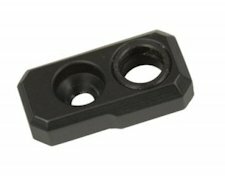 Anodized aluminum QD Sling adaptor for attaching accessories to M-LOK compatible hand guards and forends. The MDT QD Sling mount has been designed to allow the shooter the ability to add an additional QD mount to their forends on AR platforms and bolt action chassis sytems such as MDT LSS XL GEN 2 and MDT ESS. This is done by attaching the MDT QD Sling mount through any of the M-Loks present on the fore-end. The MDT QD Sling mounts comes in two varieties, one with full 360 degree rotation and the other with anti-rotation built in. The anti-rotation allows the QD sling to be attached either vertically or horizontally. The mounts are made from aircraft grade 6061-T6 aluminum and hard anodized to provide superior durability and toughness. The Cadex QD Sling Swivel Mount with limited rotation accepts all common types of push button QD swivels available on the market. It is a versatile mount that permits shooters to vary the location of the sling attachment point on their weapon. Made in Canada by Cadex Defence Inc. 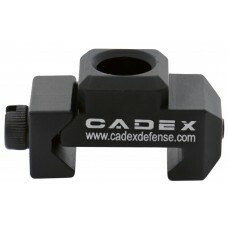 The Cadex QD Flush Cup Sling Adapter with full rotation, mounts on Cadex chassis as well as other threaded rail systems. Made from stainless steel and finished with a non-glare black oxide finish, these bases deliver exceptional strength and security, allowing multiple swivel positions to be added to any stock. 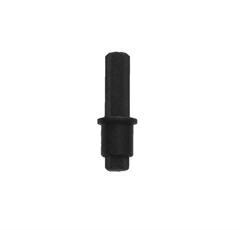 The 9/16-18 threads screw into wood or synthetic stocks and allow a standard push button sling swivel to be attached with ease. Accepts any GT push button swivels. These heavy duty limited rotation push button swivel bases allow the user to position a sling attachment point wherever it is needed for the preferred sling. The 9/16-18 threads screw into wood or synthetic stocks and allow a standard push button sling swivel to be attached with ease. These limit your rotation to approximately 15 degrees. Made from stainless steel and finished with a non-glare black oxide finish, these bases prevent twisting of tactical slings and deliver exceptional strength and security, allowing multiple swivel positions to be added to any synthetic or wood stock firearm. 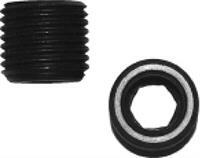 Accepts any GT push button swivels. Heavy-duty stainless steel bases allow for locking swivels into position at 90-degree intervals for a rigid mount. The 9/16-18 threads screw into wood or synthetic stocks and allow a standard push button sling swivel to be attached with ease. Stops at 90 degrees keep the sling positioned just where you want it and prevent twisting of tactical slings. Fits all GT push button swivels.